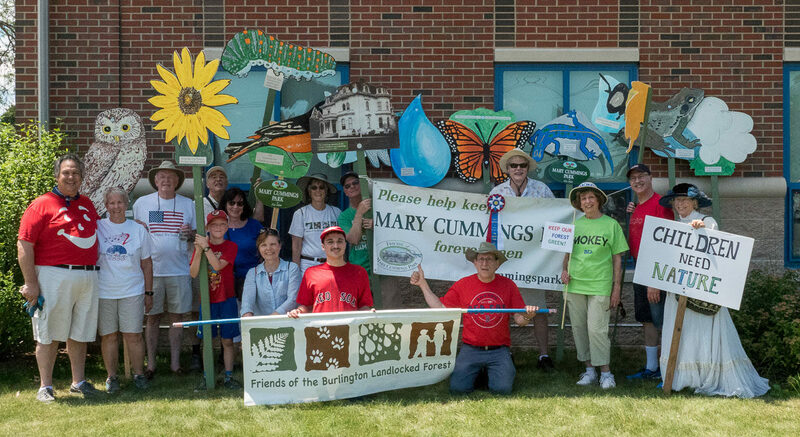 A hardy mixture of Mary Cummings Park and Landlocked Forest people marched together for the 2nd time in the Burlington July 4th parade. The weather was nearly perfect (teeny bit hot, which is what it is supposed to be on the 4th.) Cath Moore dressed up as Mary Cummings and invited parade watchers to “Come visit my park.” The parade can be seen on Burlington Cable TV, BCAT.